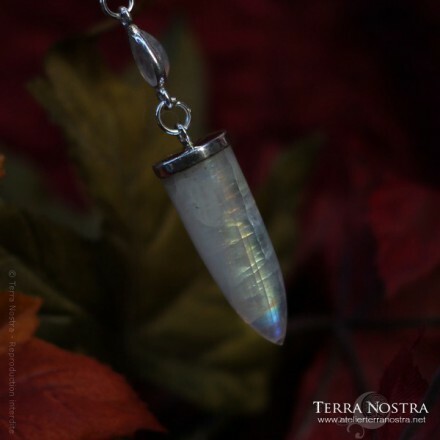 Sold pendulums, unique specimens or discontinued pieces. 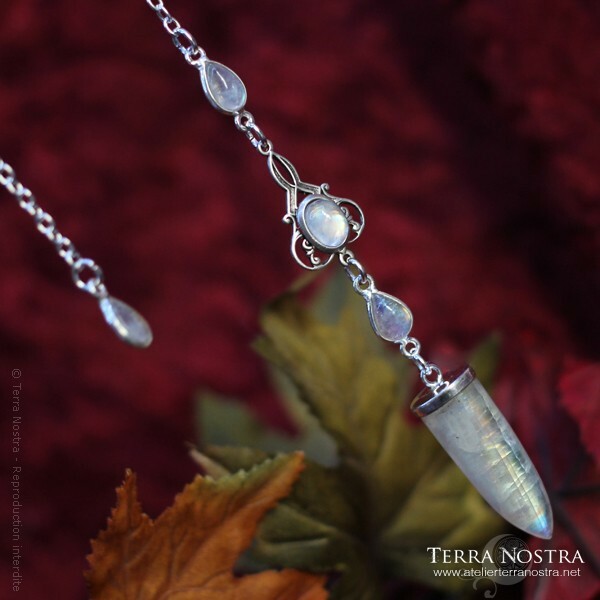 Nice white labradorite pendulum, adorned with a silver plated brass stamping and assorted white labradorite teardrops and cabochon. It is ended with an assorted charm. 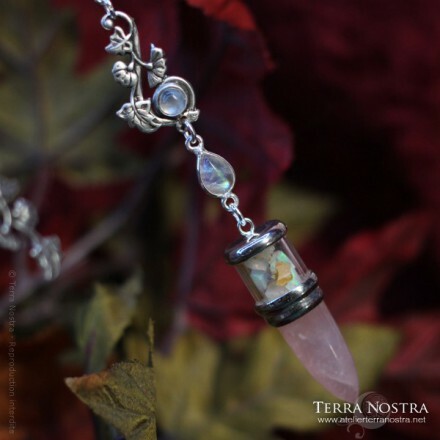 Nice pink quartz and opale pendulum, adorned with a silver plated brass stamping and assorted rainbow moonstone (white labradorite) teardrops and cabochon. 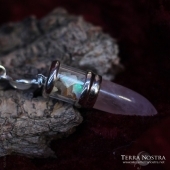 It is ended with an assorted charm.